Car Park intercom systems are absolutely invaluable assets for assisting with the vital task of protecting both people and property. When it comes to state-of-the-art intercom systems, Pulse & AlphaCom offers the fastest, clearest and the most easily integrated communication system currently available on the market. 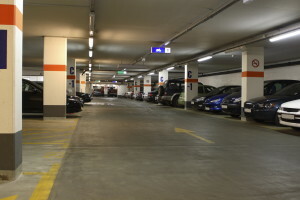 The vast majority of modern parking complexes are multi-storied and therefore comprise largely unattended areas where providing efficient security can be a real problem. A neglected parking area can be very off-putting for visitors, as well as encouraging crime and possibly becoming real area of concern for homes and businesses alike. This is where bringing in the right technology is essential. Both security performance and emergency response times can be greatly improved with an integrated communication system. Excellent VoIP technology allows the Pulse & AlphaCom system to perform seamlessly over a building’s network, across town or even worldwide. The system is versatile and can be used in all kinds of key locations. From parking areas within apartment blocks or other high-rise buildings to busy, city centre office complexes, the Pulse or AlphaCom intercom System can provide the answer to all of your intercom and communication needs. There are a variety of rugged, tamper-resistant stations available, which are highly durable and made to withstand all kinds of unwelcome interference. They are therefore ideal for use in parking stairwells, in elevators, at ramps, in automatic entry ways and throughout other security sensitive areas. You would not go to sleep with your doors wide open. Protect all of your property seamlessly with AlphaCom, which offers maximum integration flexibility with CCTV, access control and alarm systems – it is a truly comprehensive security approach. Please contact us today and we will be more than happy to advise and provide a no-obligation assessment of all your parking intercom system requirements.